By Jeff Aranow: Chris Algieri isn’t surprised by how easily Errol Spence Jr. defeated Mikey Garcia last Saturday. Spence had it easy over his much smaller opponent in beating him to the punch for 12 rounds on Fox Sports PPV. 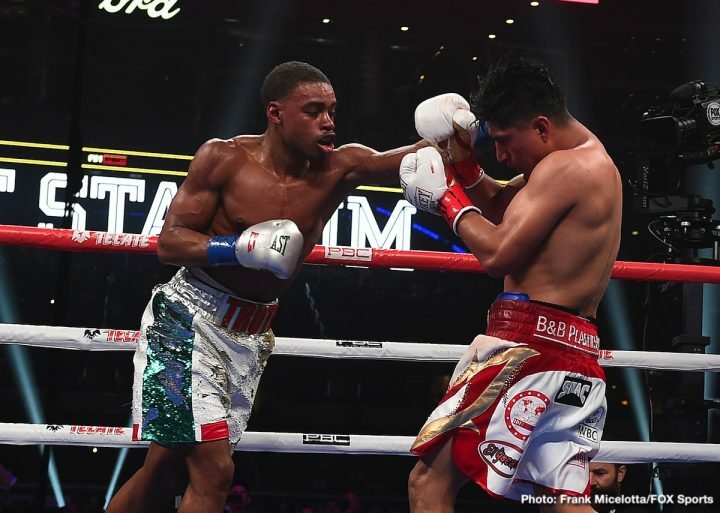 Spence used his size, reach and power advantage in front of a big crowd of 47,525 at AT&T Stadium in Arlington, Texas.